Monitoring and Assistive Technologies for Individuals with Mobility Impairments – by Vlad Mihnea Pop – this project allows persons with motor disabilities (partial or full loss of control of body parts as a result of disease, trauma or defect) to acquire control of external devices and systems, such as lights, mechanical apparatus (electrical-mechanically controlled beds, such as those used in hospitals), smartphones, computers, and many others. The projects also cover the monitoring and alarm signaling of various parameters of user’s health (pulse, blood pressure and oxygen saturation, body temperature), and environment (ambient temperature, spot IR temperature, various hazardous gaseous concentrations in air, dust pollution concentration, and gamma radiation dose count). It uses the ZYBO board, Pmod BT2, PmodOLED, PmodDA4. 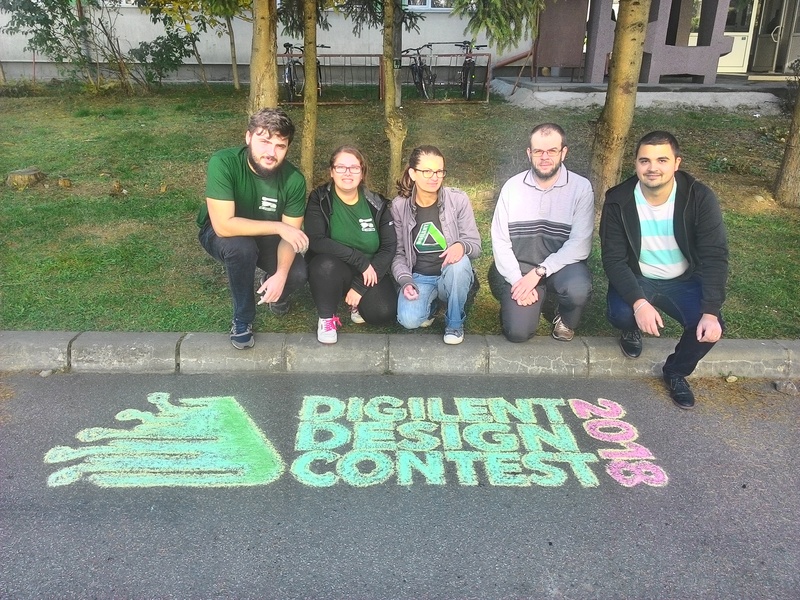 Vlad comes from the Petru Maior University in Tg-Mures; he’s a senior Engineering student and he’s also a former participant and winner of First Honorable Mention in the 2015 edition of this contest, with the project: Autonomous Search and Rescue Squad. 2. Smart Metering and Controlling System – by Archip Irinel, Onesim Robert and Rotaru Cristian. It is a smart monitoring and control system for a residential house. Digilent components used: the ZYBO board, PmodRF2. Dan and Cristian are junior students at Gheorghe Asachi University in Iasi, Romania, while Robert is a senior student at Alexandru Ioan Cuza University in Iasi, and Computer Science faculty. Robert is an Olympic in Informatics and winner of honorable mentions in the ACM SEERC 2015 and 2014 contests. 3. Air Hockey Robot – by Ardelean Bogdan Daniel and Craciun Octavian Ionut, from Technical University of Cluj-Napoca, Romania. The project uses ZYBO board and LED strips from Digilent as well as many other miscellaneous parts. 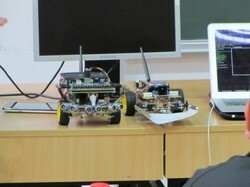 They are junior students at the Faculty of Computer Science in Cluj-Napoca, and former contestants in the 2015 Edition. 4. 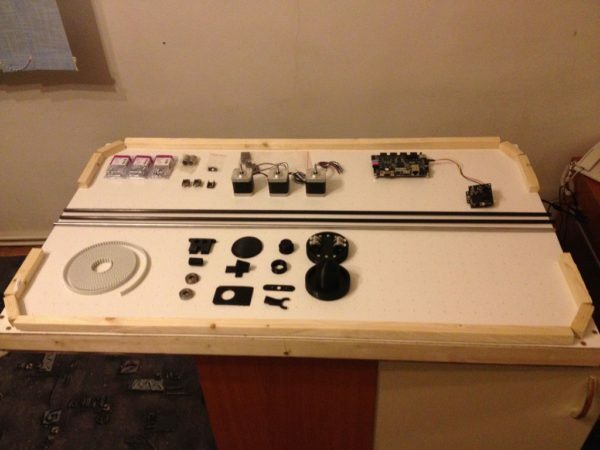 CNC Drawing Machine – by Selma Evelyn-Catalina Goga – a drawing CNC using as primary Hardware components a Digilent Arty board, DC Motors and RC Servos. https://www.youtube.com/watch?v=CNKCSNJhjtA – she interprets her own music in this movie. 5. 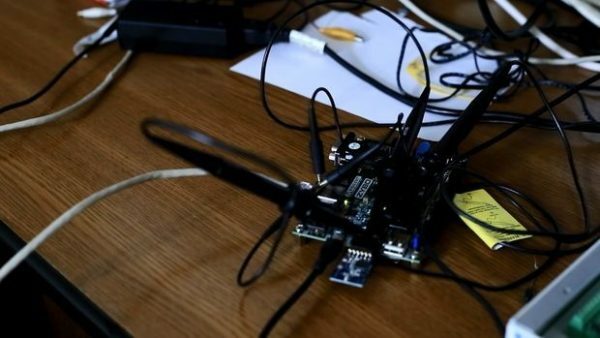 Brzydal – the social robot – by Jakub Porębski, Rafał Kozik – The goal of the project is to investigate uncanny valley hypothesis (cognitive robotics) and other social interaction of robots. 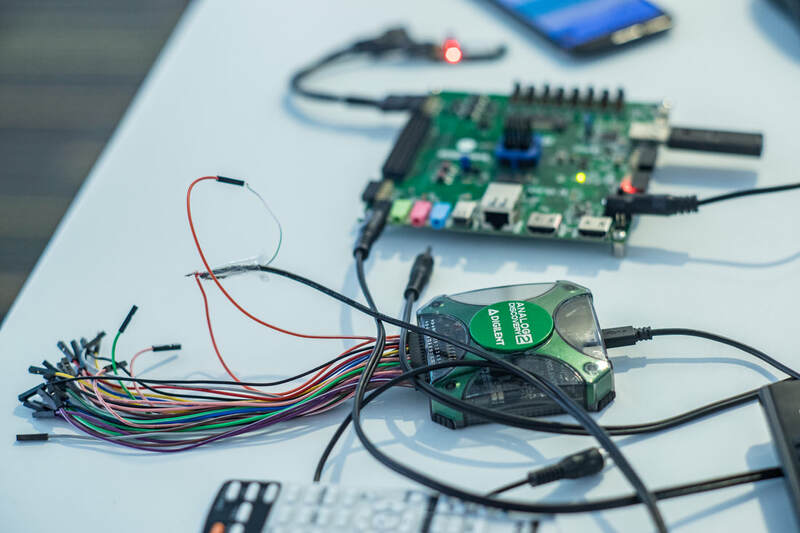 The project uses the ZYBO board, PmodWIFI and PmodAMP2. Jakub and Rafał are senior students at University of Science and Technology, Kraków, Poland. Jakub is a winner of several local competitions in Poland: https://technologycup.pl/, http://itchallenge.pl/. 6. 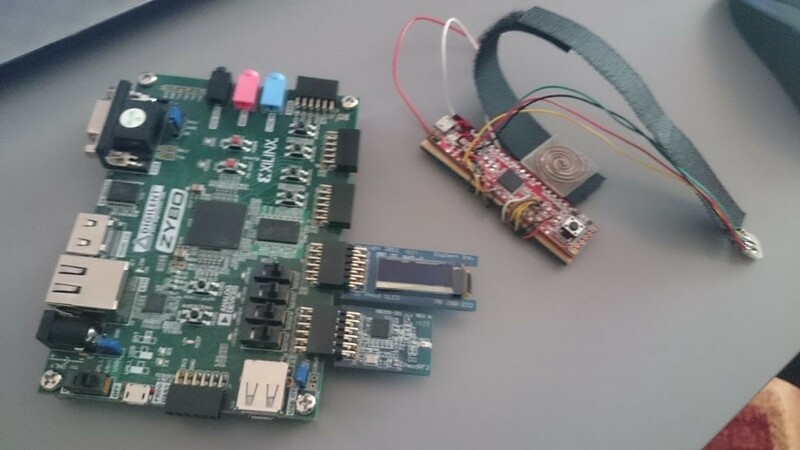 Wearable Wellness System – by Cristian Iulian Andries, Lucian Burlacu, Antonel Ovidiu Vantur. The purpose of the project is to monitor the effort, stress, panic or myocardial predecessor moments based on impedance of skin. Taking the impedance of skin we can interpret the variation of this in time. We know the impedance of skin is inversely with effort or sickness. Also, the project can be used like lie detector. 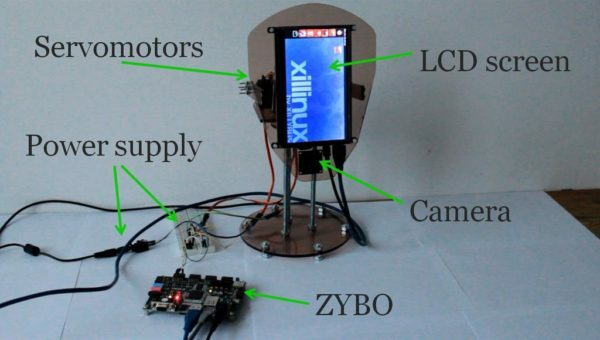 It’s built around the ZYBO board, and uses PmodOLED, PmodRF2 and PmodIA. The boys are senior students at Gheorghe Asachi University in Iasi, Romania. 7. 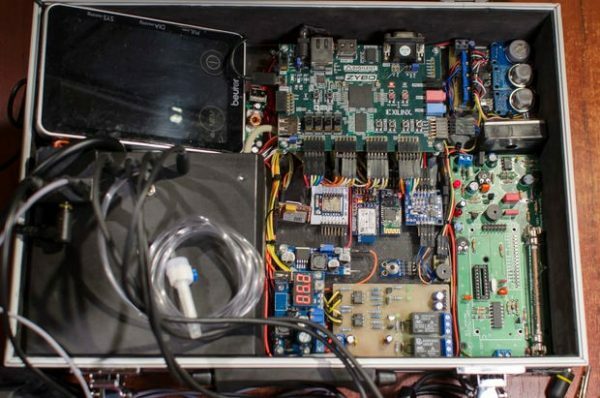 Custom high speed DAQ system with FPGA – by Vlad Niculescu and Ovidiu Hutanu. This project represents a very cheap solution of building a digital oscilloscope, as well as a way of measuring some medical signals. 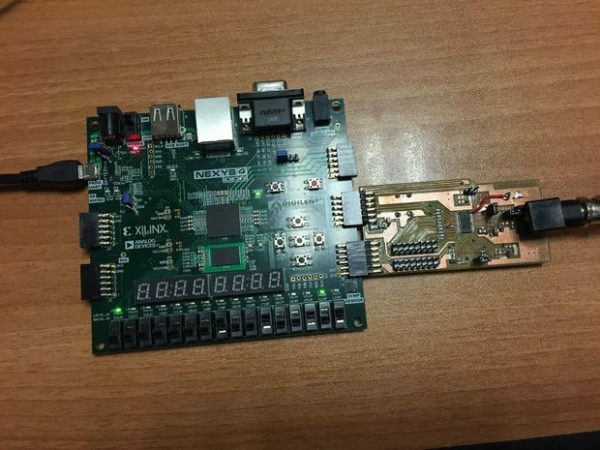 The Nexys4 DDR board is used for this project, together with a custom board AD9215 part containing. Vlad studies at the University Politehnica of Bucharest, in his junior year, while Ovidiu comes from Gheorghe Asachi University in Iasi and he is in his first year of Master studies. Vlad is passionate about robotics and won multiple competitions like RoboChallenge in 2014, 2015, as well as having participated in conferences and other students competitions. The team he was part of ranked in Top Ten in MakeMIT 2016. Ovidiu is also an electronics engineer at Horia Hulubei National Institute for R&D in Physics and Nuclear Engineering (IFIN-HH), Bucharest (Romania), apart from his maters studies in Development. 8. Fluid Spectrum Analyser – by Emil Novak, from Lajos Petrik Industrial Chemistry Informatics and Environmental Highschool, Budapest Hungary. He’s very passionate about tech domain and chemistry. This home made instrument describes what fluid is inside the test tube. 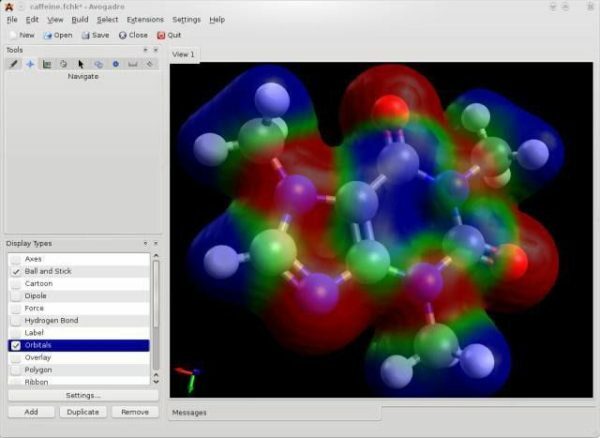 It provides a real time measurement capability for varied fluids qualitative analysis. It uses ZYBO board, and the old bundle Anvyl Pmod Pack. Interesting enough? We will be back with some more entries, all cool and enjoyable! Previous Article chipKIT Wi-FIRE Takes the Stage! Next Article Pmod Summer Sale: Get Your Summer Project On!